The start of Chinese New Year was quite a non-event for me other than having a three-day work/school holiday and having to endure two full days of the local clan shrines setting off batches of extremely loud fireworks EVERY HOUR on the hour for the entire time (yes, 48 hours worth — even through the night). I’d like to say that you get used to that but you don’t and my headphones failed to drown out the noise completely. I did not go out and join any festivities; I’ll save that for the next three evenings. 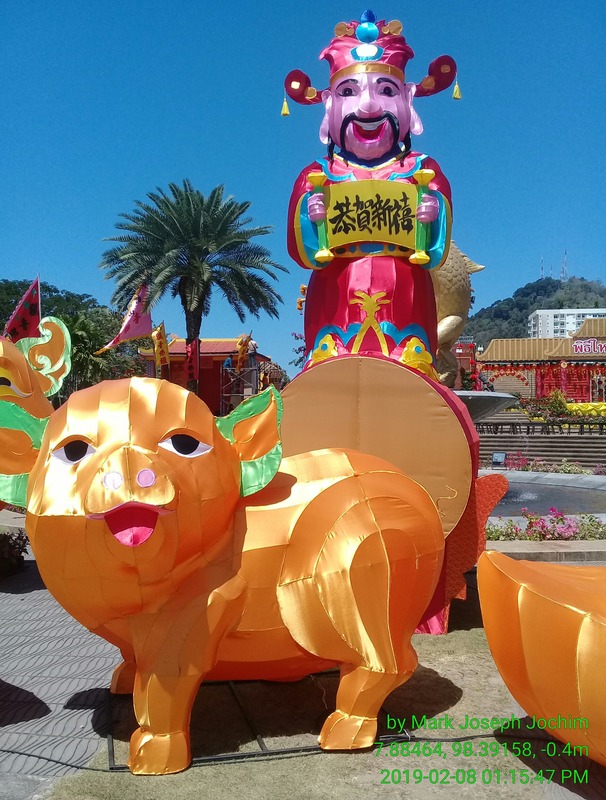 The Old Town Festival is a combination of Chinese New Year-themed presentations and the Sunday night Walking Street but it’s expanded throughout the entire historic center of town including all of the side and main streets as well as the park on the outskirts. Forget about trying to drive through that! I live just outside of the “zone” and can walk for five minutes and find myself in the center of it all. Assignment for the Open House projects/assignments written on the whiteboard, complete with some Thai translation which shouldn’t be necessary as this is the “Intensive English Programme” (IEP) section of the school…. It does not appear that anybody is interested in doing their assignments. I blame the crowded conditions of the classroom as much as anything else. 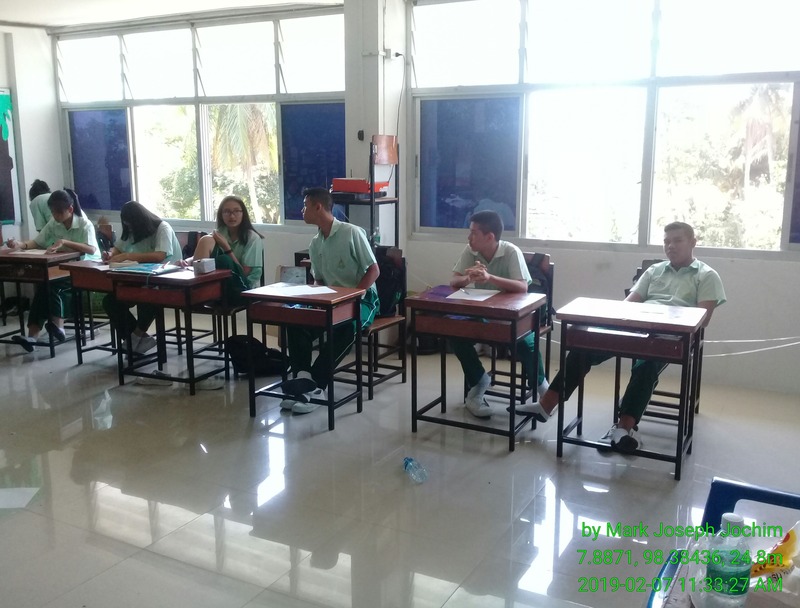 In nearly 15 years of teaching in Thailand, I have never seen students such as the ones at this school who are so lazy and outright refuse to do any work. This particular class — M1/2 — was directly responsible for causing three teachers to quit since early November. 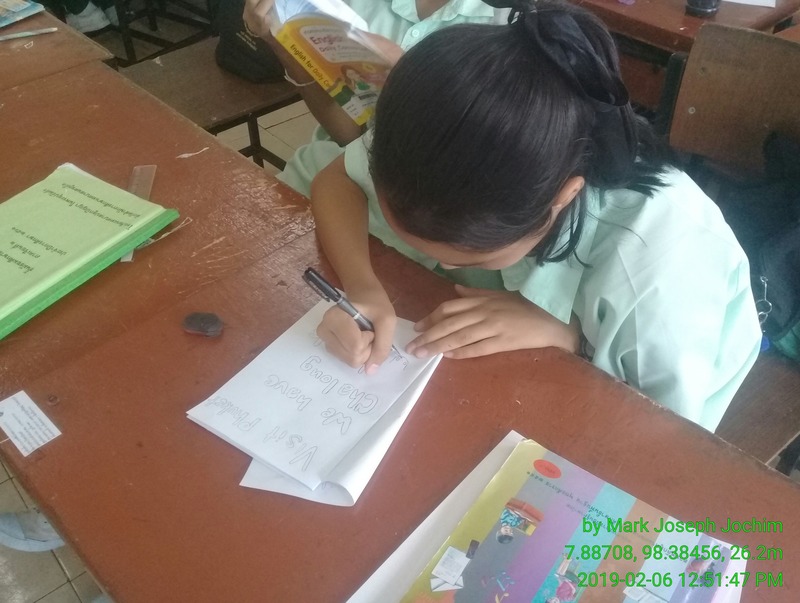 However, there are two or three students (usually girls) in each class who will do their work as soon as they know what they are supposed to do. I really wish I could clone them! This girl is making a rough draft of what will eventually become a beautifully illustrated and word travel poster for Wat Chalong in Phuket. Anyway, upon returning to school Wednesday, I found my students extremely lazy. We were supposed to complete projects started the previous week in preparation for the school’s Open House which will occur at the end of this month (just before final exams). 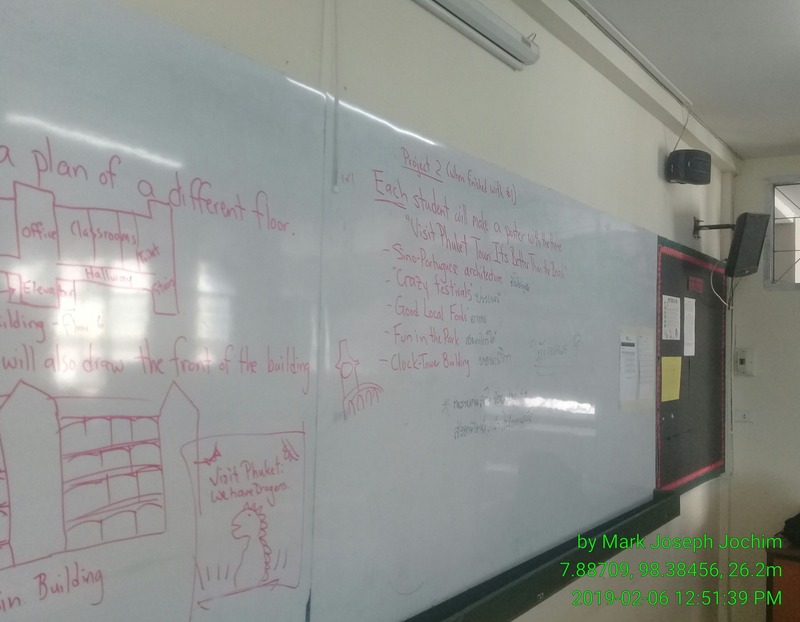 I explained what each student needed to do and even summed-up the instructions by putting them on the white boards, but the students outright refused to do anything. Foreign teachers are not allowed to “discipline” these children and there isn’t a lot you can do in situations such as this. Taking photographs and threatening to show them to the school director does not faze them at all. Also, no student in Thailand is allowed to be given a failing mark. I tried a different strategy the following day, I created new seating plans in both classes. 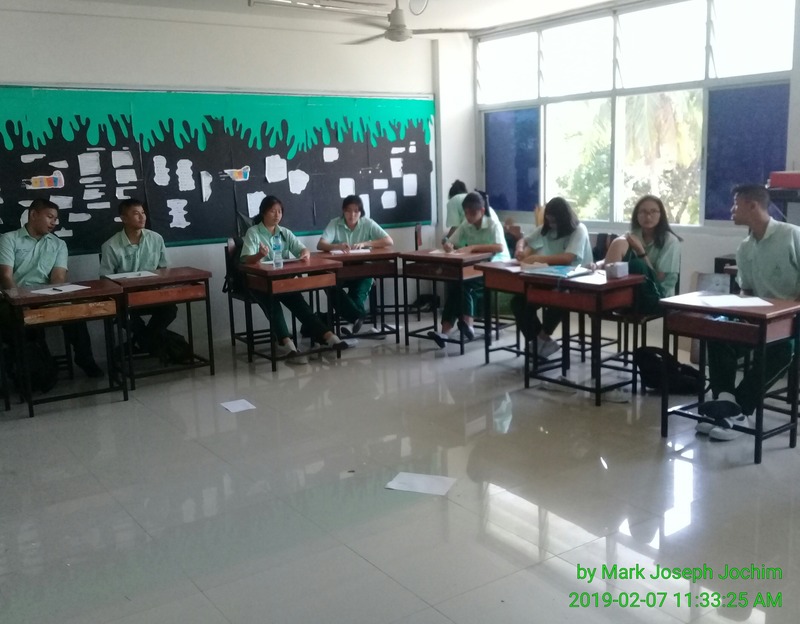 M3/2 has only 18 students so it was an easy matter to put the desks into a large “U” shape around the edges of the classroom, leaving the front with the whiteboard and the center completely open. It’s more difficult for the students to be lazy (so I thought) when they can be seen by everyone else in the room. 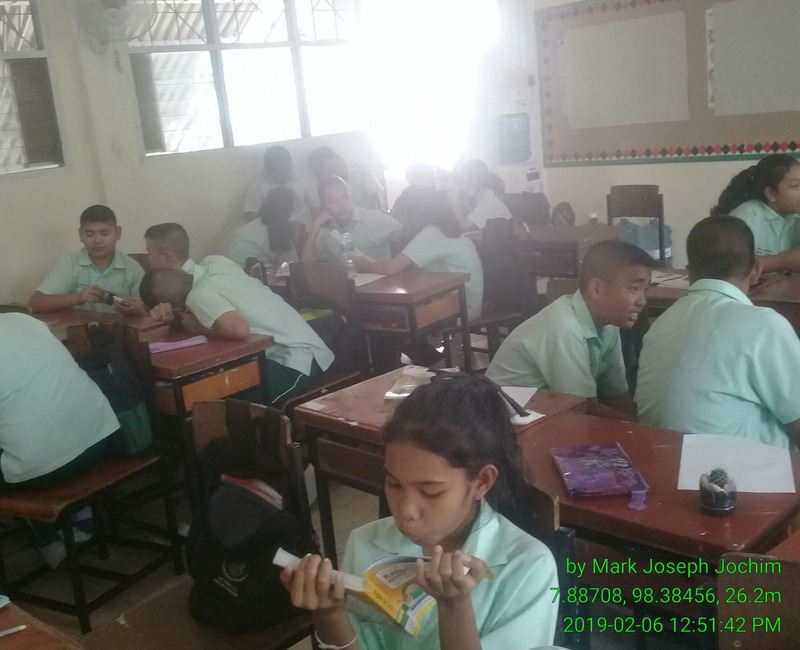 It’s always risky to make such changes (the probability that the Thai teachers will revert to the old, cluttered rows is quite high). I gave the students a motivational speech and it actually worked! They finished their projects and another assignment with little complaint, although some of the work was somewhat subpar. At least everyone did SOMETHING. New day, new desk arrangement, new attitude from the students! Thursday and Friday went very well in both of my classes. Let’s hope it continues on Monday! I was surprised that their Thai teachers didn’t make them change back to the cluttered arrangement. I quite like the openess of this seating plan and gives me space to walk and easily check on what each student is working on without risking stepping on odd things…. The students told me they like the seating arrangement as well. While they worked hard last Thursday and Friday, I can visualize going into the room on Monday to find them all sleeping on the floor in the middle, just like Kindergarten! One girl suggested that we have a party at the end of the term now that we have a dance-floor. The same thing happened in M1/2 although, with 30 students, I could only create a giant “O” with the desks touching each other. It took longer to rearrange and I didn’t make much of a speech but the students worked hard for the remainder of the period and about half of them turned in their work by the end of class. The remainder (except for three girls) gave me their papers and posters on Friday. In most cases, their work was better than similar assignments given to the grade two years ahead of them. They certainly took a lot more pride in their creations. 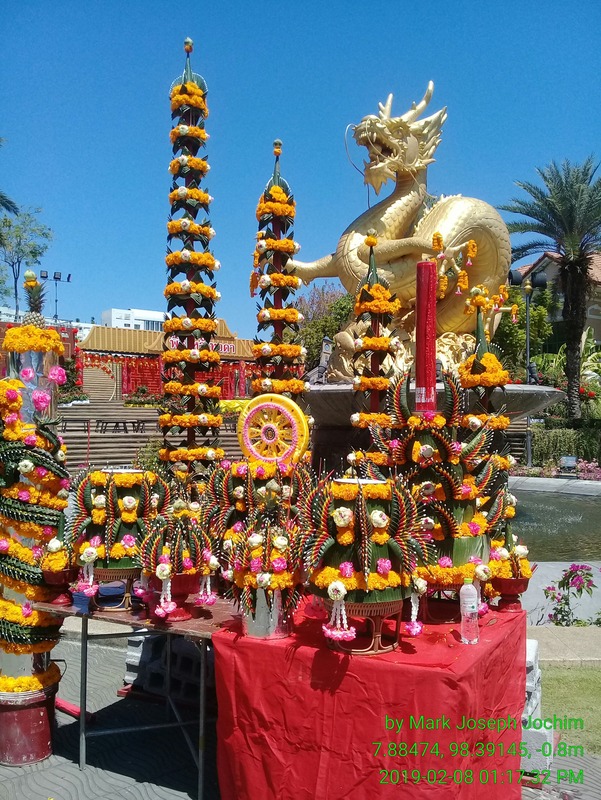 The Phuket Old Town Festival begins today and runs until Tuesday night. This is my favorite local festival each year and I usually spend each day and night walking around shooting video, taking photos listening to music, and sampling loads of food. 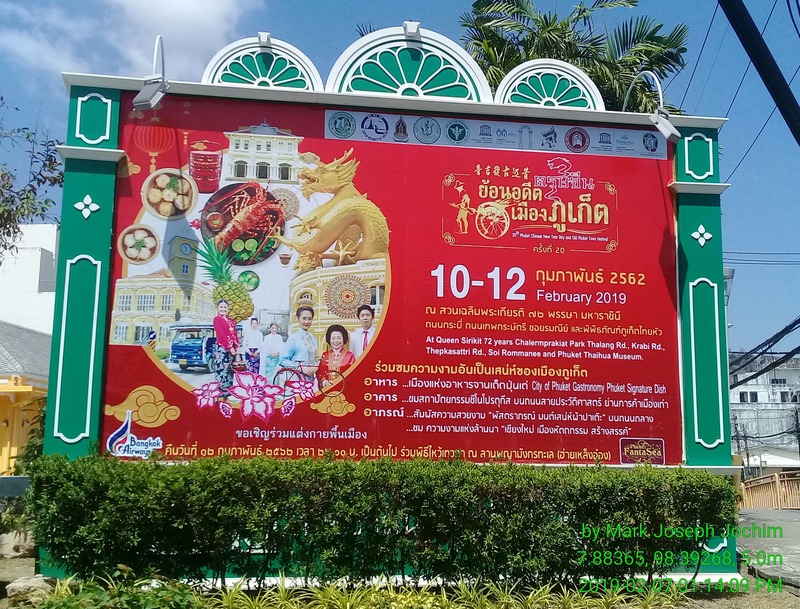 Crews trying to finish structures on-time for the Old Town Festival crowded into Queen Sirikit 72 Birthday Anniversary Park all week. This one looked almost finished Saturday afternoon. During the second half of Friday lessons, I like to try activities that motivate thinking. Vocabulary games are always good and one of my favorites is called “How Many Words?” I hadn’t tried this particular activity in more than a year but I decided to introduce it to both classes this past Friday. Basically, I give a word (usually the name of a country, a proper name, or a phrase such as “Merry Christmas”) and the students try to find as many other words from the first word that they can. They can only use the letters in the first word, and each letter can be used only once per derivative word. For example, Laos (always my first example when presenting the game for the first time) gives out five words (a, as, so, lo — as in, “Lo and behold!“, and the nationality Lao); I don’t allow people’s names or abbreviations but country names and nationalities are okay. My second example is usually Mark (a, arm, ark, ram, mar, and I’ll allow ma although I don’t like slang as vocabulary). Oh, and the verb or noun of mark, not used as a proper name. I used to divide the class into teams (boys and girls, usually) and give them each a different word. The winner would be the team with the most words found from their word. The idea behind giving them different words was to prevent cheating by copying but it’s difficult to make this fair. Some words of the same length offer more words than others. So, now I give them the same word. I usually do one more practice round — Thailand — where each team has to write down a list of words without shouting them out as in the other two practice words. Then, I have a representative of each team write their lists on the whiteboard and we can compare. This Friday in M3/2, the girls found 24 words from Thailand while the boys had 26. However, my favorite word has become Singapore. Ready for the Old Town Festival…. 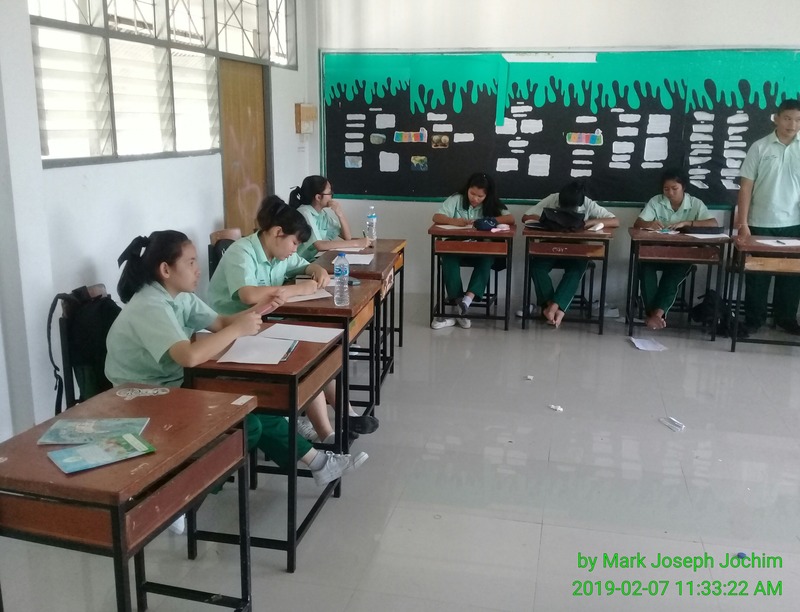 The previous record was about two years ago at Muang Phuket Municipal School during one of my fill-in lessons there (I usually like to play games when I am a substitute). They got 105 words from Singapore which was roughly the amount M3/2 had found when classtime had finished. 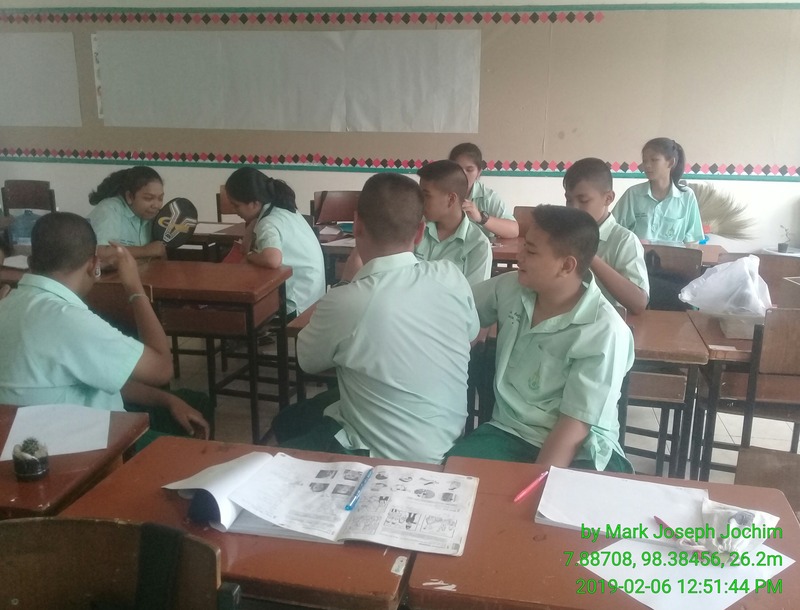 By this time, the boys and girls had decided to work together to find even more words and loud cheers would go up whenever I approved a new word. They were so excited that they decided to keep at it until they got completely stuck; they didn’t want to go to each lunch! By the time I left, they had 126 valid words, all without the use of a dictionary! I was very impressed. The next class, starting after lunch, did even better arriving at 130 (I didn’t make this one a competition as most a number of students were finishing their assignments from the previous day and I only enlisted a couple of girls sitting at the front to start with). As more words were added, more students became involved. I allowed a bit of dictionary assistance towards the end but this only yielded asp and aspen. Like M3/2 before them, M1/2 soon learned to take advantage of the “s” to form plurals and third-person singular verbs. As I was leaving (again, about 20 minutes after the lesson was scheduled to end), an excited student came up to me and asked if we could do that again next Friday. Another asked if I knew a “better” word than Singapore (I suppose she meant if there is one which will generate more words; I cannot think of one off-hand but I will try to find one). This sort of activity is as much fun for the teacher as the students. 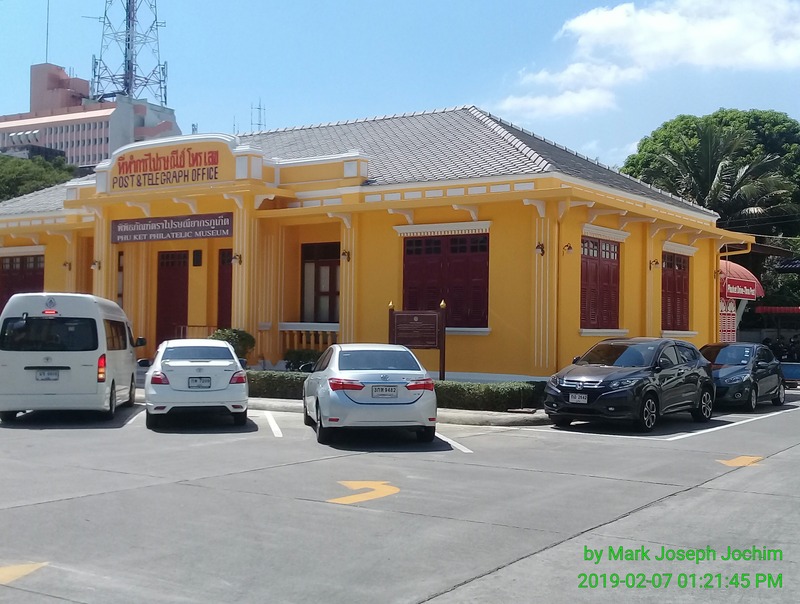 The Phuket Philatelic Museum will reopen the week of February 11, 2019. About the only other thing to occur all week was a quick visit to the post office to buy Thailand’s new “Symbol of Love” stamp last Thursday afternoon. The clerk was set up in the middle of the main post office lobby (usually, I conduct my stamp purchases in the back room amidst the sorting bins). 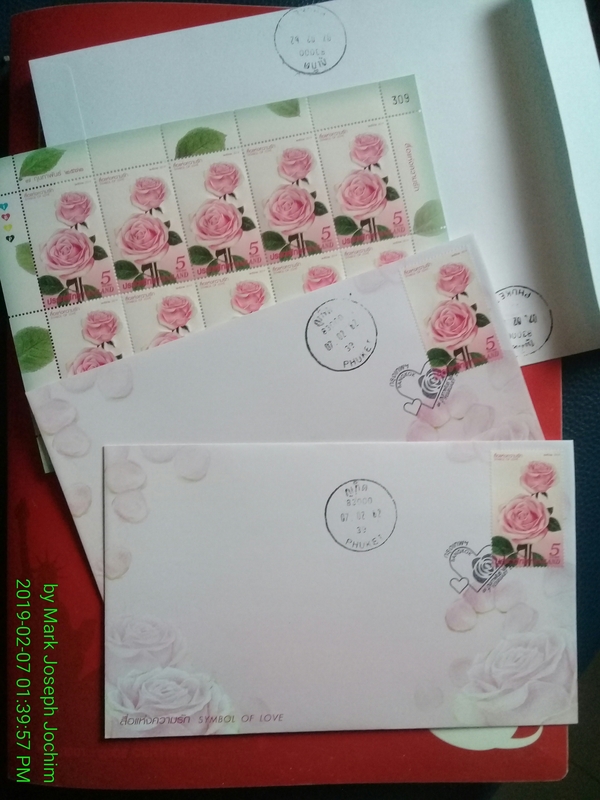 She let me add the Phuket postmark to my first day covers (the official cancellation is a pictorial from Bangkok) and I managed to get two decent impressions (the old hand-cancelling device is difficult to use as the “ink” pad is more of a solid stone than a spongy mat. 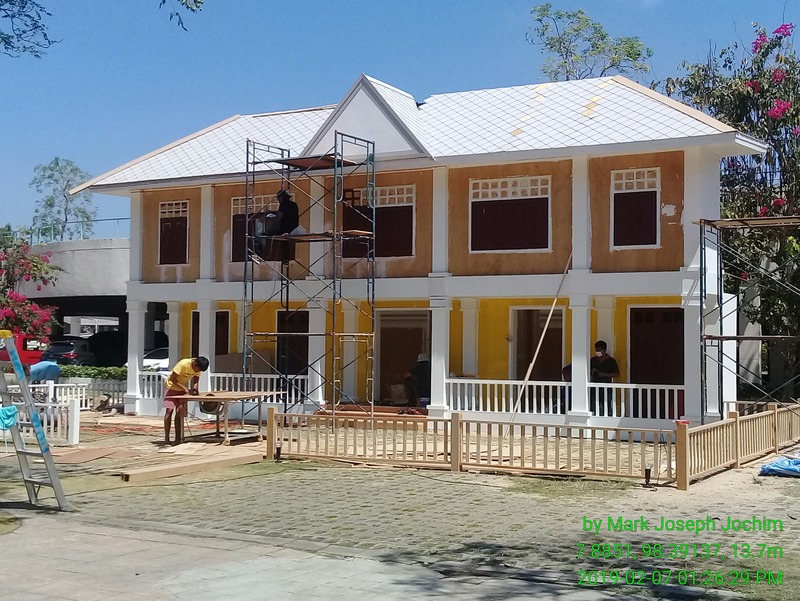 I was also informed that the Phuket Philatelic Museum would re-open this coming week following its lengthy roof repair and renovation. The clerk was excited about it and showed me some photos of the next exterior. I finished reading Worth Dying For by Lee Child early in the week and began reading the latest by John Grisham, The Reckoning. However, several chapters in and it hasn’t yet “sparked” for me. Last night, I gave up (for now) and started reading a new Reacher novel instead, Past Tense, which seems to hold my interest much more than the Grisham. I also received several stamp orders in the mail Thursday which I scanned yesterday and will blog about on Philatelic Pursuits in a couple of days. There were no major “foodie” meals, just the regular fresh-market fare I eat on a regular basis although I am currently going through a pineapple withdrawal as it seems to have been replaced with cantaloupe at my usual fruit vendors.